"This isn't a typical theft"
(Newser) – The question of who owns a particular chunk of a famed meteorite is heading to federal court with the filing of a lawsuit and countersuit, SF Gate reports. 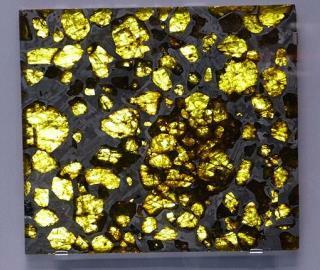 It all started billions of years ago with the Fukang meteorite slammed into China's Gobi Desert. Fast-forward to the year 2000: when the meteorite was discovered and collectors began acquiring slices of it. Among them was Stephan Settgast, currently of California, who says he bought his 220-pound piece in 2004. In 2014, according to court documents, Settgast agreed to sell it to Lawrence Stifler and Mary McFadden of Massachusetts for $425,000. And then it all went bad. Settgast says the couple violated the conditions of the sale by planning to show it in their rock museum. They say not showing the meteorite was never a condition of the sale and suggest that Settgast got "seller's remorse" after learning he might have undervalued it. But, but, I sold my silver ingot not realizing it was a silver plated gold ingot. Now I want it back. Rich people problems. Is this what people do while I sit at my desk? 4.5 billion years old is a wild-eyed guess for the age; they used that because our solar system and the Sun itself is about 4.5 billion years old. However, this particular rock may be much older - or far younger.